Those who all missed the Wednesday Wimbledon quarterfinals 2017, here it is sad news and also good news for Federer fans. Federer got chances to win his eighth title because of the eviction of Andy Murray and Novak Djokovic from this tournament. Before this, Rafel Nadal went out from this competition in the fourth round on last Manic Monday. So, Roger Federer can move forward as easy with all upcoming games. 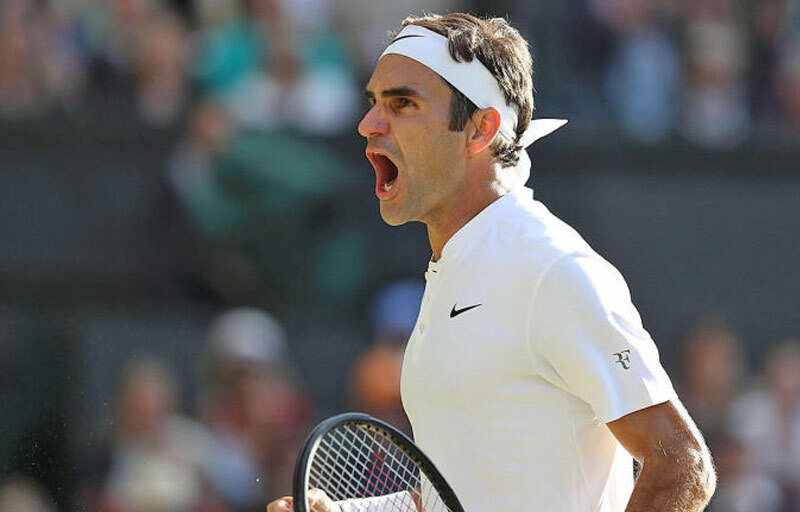 Federer has made his fans happy by performed well in this Wednesday game to Canadian Milos Raonic. It is his 100th match, so it changed as an extra special because of his win and also he enters into the 12th semifinal with a better performance than the last year’s finalist, Raonic in the quarterfinals. So, he is now going to play against 11th seed Tomas Berdych in the semi-final, who defeated Novak Djokovic in the quarterfinals with 7-6(2) 2-0 RET. For Djokovic, it turned as the injury Wednesday and lost his chance to win the title. The world no. 1 and defending champion lost his game against to the USA player, Sam Querrey. The match between these two game against to the USA player, Sam Querrey. The match between these two has ended up with duration of long as 3-6 6-4 6-7(4) 6-1 6-1. It is not only the eighth Wimbledon title chance and also, it is his second winning chance of Grand Slam in this year. In the quarterfinals, Raonic began with some great groundstrokes and took a 3-0 lead in the tiebreaker but Federer did not let his close out. Andy Murray lost his game because he struggled with his hip during match time against Sam Querrey. Finally, Federer is free-up now with the another big battle in semifinals and finals of this tournament. Also, it looks like he will become the first man to win the eighth Wimbledon title.